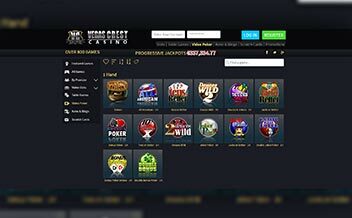 Vegas Crest Casino was established in 2014 and is one of the best-emerging casinos in the world of online gaming. The casino is swiftly making its way to be among the elite casinos in the industry. It is operated by PalauGames, a company registered in Curacao, and as such, the casino is licensed and regulated by the Government of Curacao. Being in business for just about four years, Vegas Crest Casino is on the right path towards achieving a reputation desired by most in the diverse online gambling market. It is powered by Vista Gaming, Betsoft, GameArt, Rival software and more. The casino promises no complicated rules, requirements, or tricky small prints- just an easy and fun playing environment for real online casino games and slots lovers. 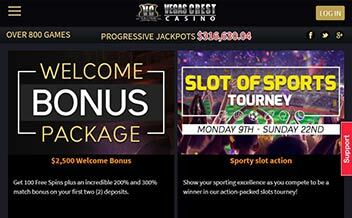 The casino offers enough selections to meet just about any player’s needs and demands for online gaming. Vegas Crest casino offers a 200% sign up bonus with a maximum bonus of $1000 and a wagering requirement of 30x on slots plus 10 free spins on The Tipsy Tourist. There are also another 30 free spins on Pinocchio. 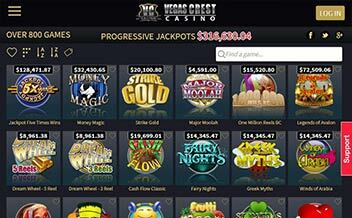 Vegas Crest Casino offers video slots with huge progressive jackpot games for anyone who is looking to win it big. Games included in the progressive section of Casino include; Money Magic, Strike Gold, Major Moolah, Fairy Nights, Greek Myths, Winds of Arabia, and One Million Reels B.C. At Vegas Crest, players can enjoy games with state-of-the-art graphics and sounds from Rival and Vista software. Slot games lovers can choose from Classic 3-reel slots like the new Red White & Blue, Costume party, Global Cup Soccer, to popular 5-reel slots like Mystic Wolf, Lost Secret of Atlantis, Silver Unicorn, Jolly Rogers Jackpot, Scary Rich 3 and many others. Interactive Slots are Rival’s very popular games, offering amazing graphics, sound and evolving storylines. Some of the favorites include Sherwood Forest Fortunes, Wild Safari, The Nine Back, Hole in Won, A Switch in Time, Rock On! as well as the Reel Crime series games. Vista’s slot games are grouped as 5-reel Exclusive Slots, and some of the games include hits like Sands of Egypt, Princess of the Sea, Lost Vikings, Amazon Quest, Games Bond and Havana Nights. Table Games lovers should find sufficient selection from the range of Blackjack, Baccarat, Roulette, Craps, Texas Hold’em, Red Dog and Pai Gow Poker. Video Poker lovers have games like Deuces & Jokers, Bonus Poker, All American, Joker Poker, Jacks or Better and a few more. 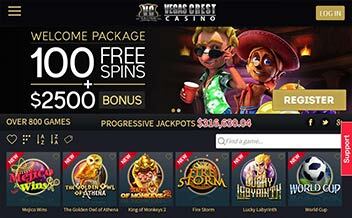 The casino uses software from some of the best developers like Vista Gaming, Betsoft, GameArt, Rival software and more. Afghanistan, Bolivia, Chile, China, Egypt, Georgia, Gambia, Gabon, Hungary, Honduras, Jordan, Kenya and many others. Bank Wire Transfer, Neteller, Visa Electron, Visa, Bitcoin, Skrill, American Express, Money Transfer. US dollars, Euros, British pounds sterling, Bitcoin. 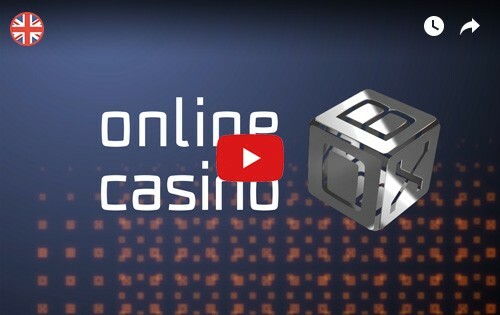 There is no provision for downloading the software, so the casino can only be accessed from the browser and the games played in Instant Play mode. Being one of the newest online casinos to emerge into the world of online gaming, Vegas Crest Casino is quickly gaining popularity among online gamers due to its diversity of games on offer. The casino promises something for everyone which is a good thing going forward.